The TwinPack is a combination of the CTT230 stretch wrapper and the XP 112 MVB strapping installation. The result is an efficient and optimal working method with perfect wrapping and strapping in a unified work process. 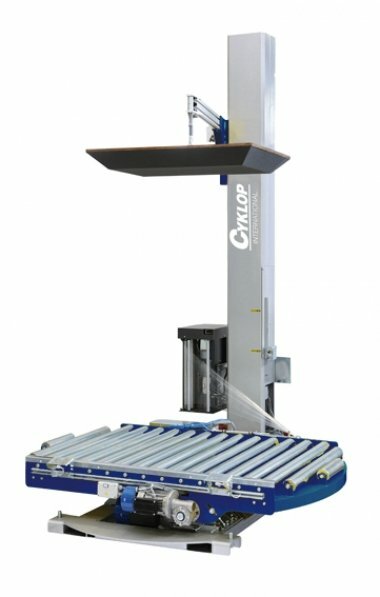 This method of automation saves valuable working time and increases the output of packaged pallets. Two packing methods united in a single machine. 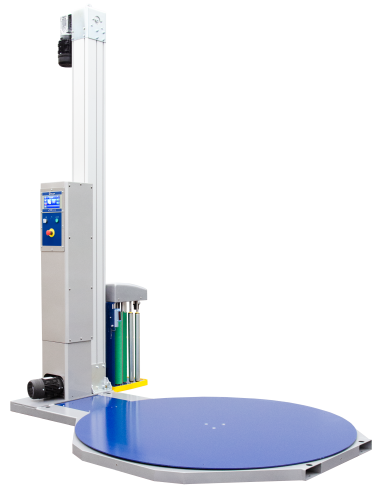 The CTT 1000 pallet wrapper is a fully automatic turntable film wrapping machine that is extremely suitable for installing into a fully automated line. 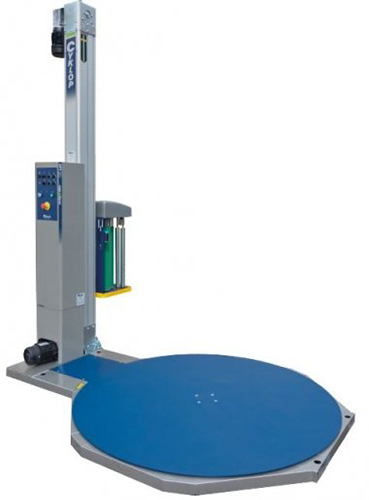 This machine has a number of unique features including the automatic scanning of the pallet diameter. With its high processing speed and 400% pre-stretch, this pallet wrapper will bring cost savings to your process. 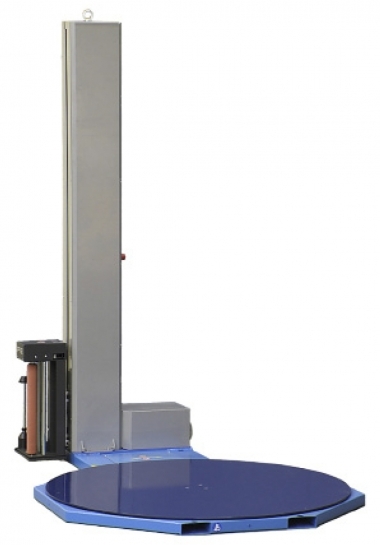 The CST 940 pallet wrapper can be easily placed into an existing line. You can use this machine to keep down costs in your production line. The CST 940 machine is of a reduced-size for ease of installation, minimal maintenance requirements and high pre-stretch percentage. The CST 915 pallet wrapper is a film wrapper that can be easily integrated into an existing or new line. This film-wrapping machine’s combination of high stretch percentage and low maintenance ensures overall cost savings in your production line. The stretch wrapper CTT 300 is with its pre-stretch of 400%, high processing speed and integrated cutting unit is the solution for time-saving pallet wrapping. 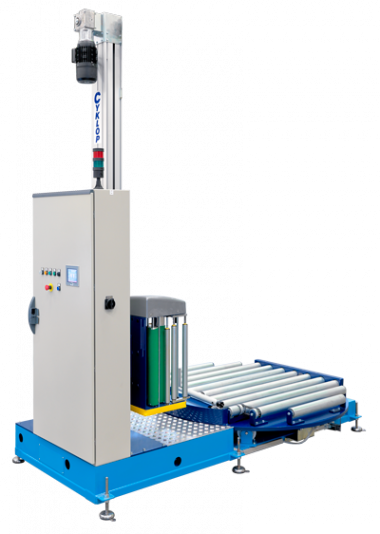 Through time saving, automatic processing, high pre-stretching and low maintenance, the CTT 300 provides the best wrapping price per pallet. 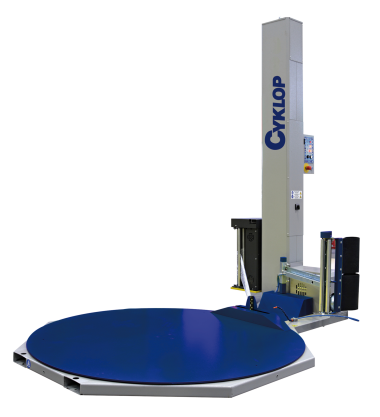 The CTT 230 pallet wrapper is a film-wrapping machine that is easy and fast to operate: the operator places the pallet on the turntable, switches on the wrap programme and cuts off the film when the pallet has been wrapped. 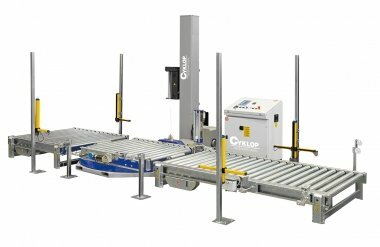 The stretch wrapper CTT 210 is a film-wrapping machine that is simple and quick to operate: the operator places the pallet on the turntable, switches on the wrap programme and cuts off the film when the pallet has been wrapped. The stretch wrapper CST 212 Auto Advance is equipped with a motorised pre-stretch system with 3 drive rollers, electronically controlled with interchangeable gear ratios: 150%, 200% and 250%. The machine is easy to operate, with clear and simple button functions. Replacing the film roll is easy to do. There are access points in the base of the turntable to allow internal transport with a forklift. The stretch wrapper CST 211 is equipped with a simple electromagnetic brake pre-stretch system (maximum 150% pe-stretch). Film tension is manually regulated and adjusted. The machine is easy to operate, with clear and simple button functions. Replacing the film roll is easy to do. There are access points in the base of the turntable to allow internal transport with a forklift. 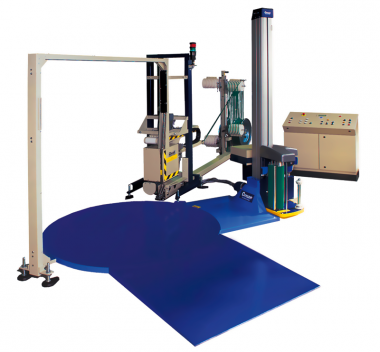 The stretch wrapper CST 201 is specially designed for handling pre-stretched wrapping film. The machine is easy to operate, with clear and simple button functions. Replacing the film roll is easy to do. There are access points in the base of the turntable to allow internal transport with a forklift. 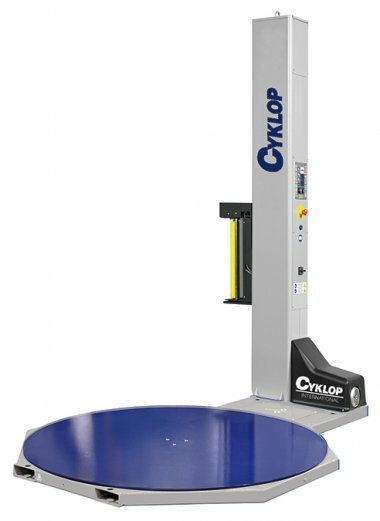 The stretch wrapper CST 110 is the entry model pallet wrapper from Cyklop. 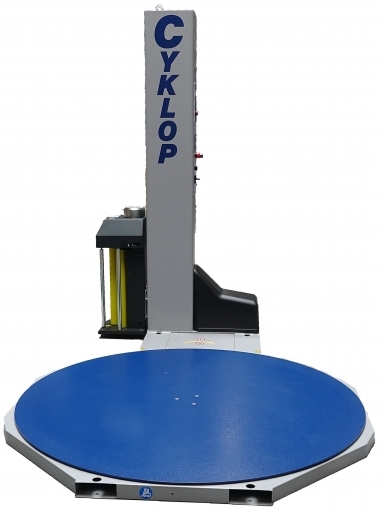 Ergonomically, the machine is highly suitable as a replacement for manual wrapping which is often heavy and laborious. 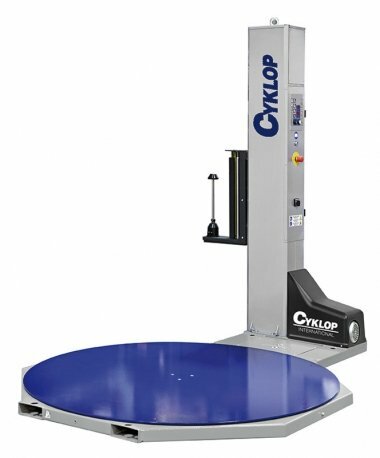 As standard, the CST 110 is supplied with a turntable of Ø 1500 mm. The film carriage is equipped with a photocell that automatically detects the height of the load. 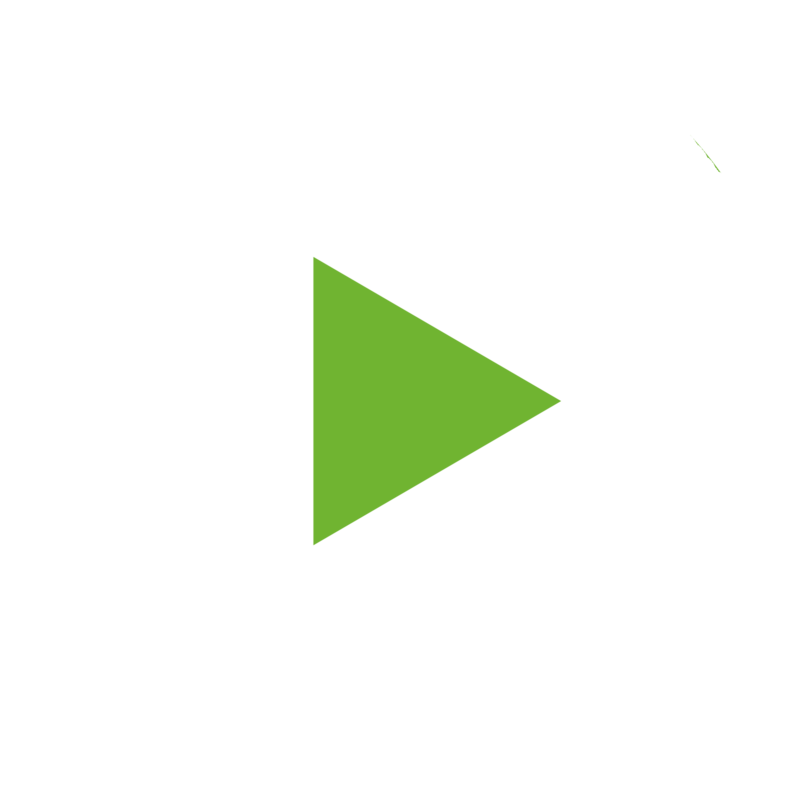 The film tension can be adjusted manually by means of a mechanical brake. Unique to this machine is the special programme that enables the film roll to be easily changed. The film carriage proceeds to a set height where the operator can change the film roll conveniently and safely. 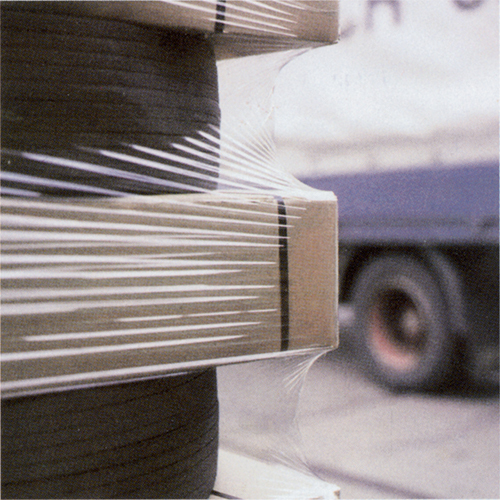 The film carriage also goes to a set height at the end of the cycle so that the operator does not have to release the film underneath the pallet.